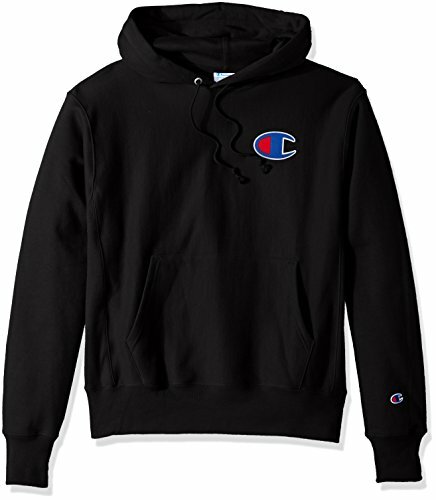 Champion LIFE Men's Reverse Weave Pullover Hoodie, Black/BigC Left Chest, Large | What Should I Say? Our classic Reverse Weave® Pullover Hoodie only gets better with time. Its specially knit to resist vertical shrinkage, so the length stays true to size.